How much of a difference will EZ Snap make? It’s a common question that we get. People want to know that a product will deliver if they are going to spend their hard earned money on it. So, if you ever wondered what kind of temperature difference EZ Snap exterior shade screen can make then you’ll want to read this. It’s already well known that the best way to cut down on heat is to use exterior shade. The reason why it’s such an effective method at reducing solar heat gain is because it stops the heat from entering the house. 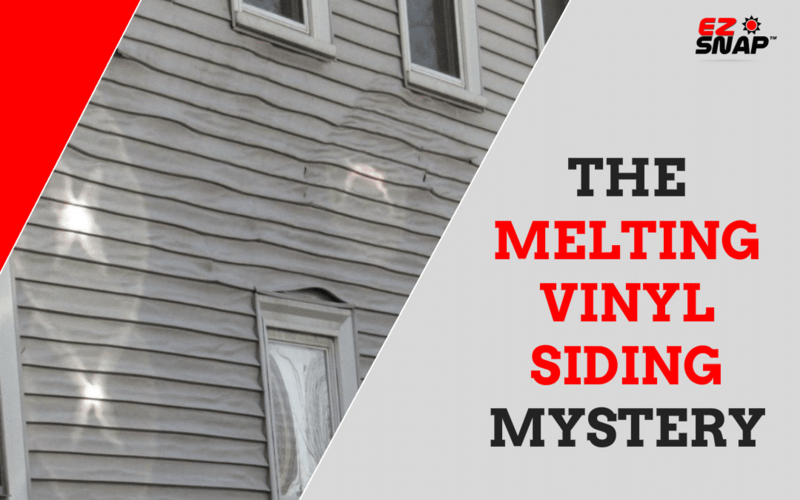 It’s why window blinds and drapes are not effective at keeping a house cool. They are on the wrong side of the glass. Windows are typically the source for up to 48% of the heat build up inside a home, and blinds can only knock down a fraction of that. That’s because when your shade is on the inside of the glass, then the heat has already gotten inside the house and you are fighting a losing battle. 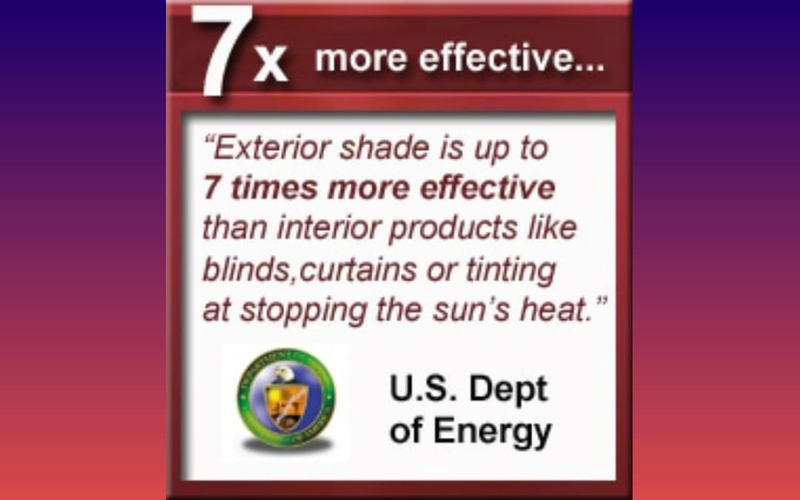 The key is to stop the solar heat from ever getting inside the house in the first place, and that is what exterior shade provides. EZ Snap exterior shades can stop up to 90% of solar heat, which means you will get a more comfortable space and a lower energy bill. As for what kind of difference that means in temperature, here are some customer reviews of our shades that show what our shade kits can do. James wrote to us because he was ready to install another AC unit before finding EZ Snap. “I have been searching for years for an inexpensive way to cool my upstairs. I was almost ready to put in a second HVAC system when I stumbled upon EZ Snap. The windows face west and they get pummeled by the sun. I just installed these and with my thermal imaging camera there is a 23 degree difference between the window with the solar shade and the one without. I could not even believe it. I went back every hour to check and it was still the same readings! The install was super easy and it actually looks decent. I was worried they would look like covers over the windows but they appear more like thick window screens. 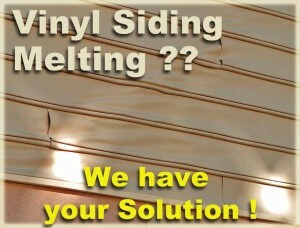 We also get a lot of people who call to tell us about their hot skylights. The difference that one skylight with a lot of sun exposure can make to a room is astounding. We’ve heard from customers who tell us they’ve abandoned entire rooms because of how unbearable they can get from a hot skylight. With EZ Snap skylight shades, you can get your house back. “Our kitchen has a number of southern facing windows plus skylights. When the outside temperature got more than 90 degrees – the kitchen would get into the high 80’s. We ordered enough for two skylights and four windows with the EZ Snap system. Shipping was super fast and the packaging was well done. 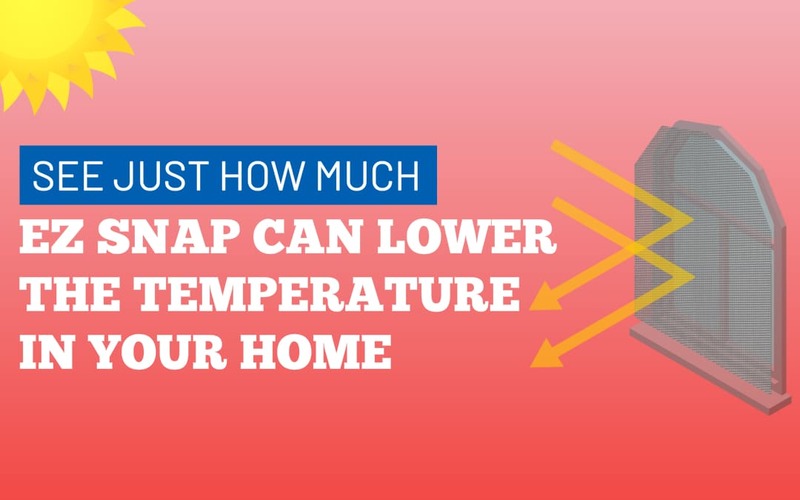 With that kind of temperature swing, EZ Snap shades end paying for themselves through lower energy costs. 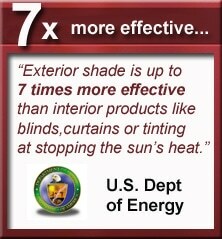 Follow this link if you would like more information about our line of shade products. Imagine losing $1000 from your income every single year. For most American households, that’s roughly how much it will cost to heat and cool their home for the year. That adds up, especially when every dollar counts. 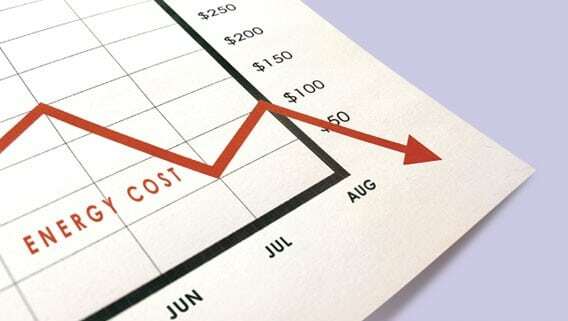 It’s no surprise that people are looking for ways to save on energy costs. Typically, windows are the worst energy culprits on any given house. Heat gain and heat loss through windows account for between 25%-30% of a home’s energy use for heating and cooling. If a window has failing seals, it will perform even worse. Even the type of the window frame can affect energy performance. If the window frame is made from a material that is a poor insulator, such as aluminum, it can create what’s known as a thermal bridge and conduct heat from inside the house to outside. One inefficient window can lose as much heat as 10 to 20 times what an insulated wall would lose. Even if your window is new and well sealed, it could still be the cause for a lot of energy use in your home. Solar energy is still able to pass through glass, so even an insulated window can heat up a room quickly if it gets a lot of sun. In the dead heat of summer, having even just one window or skylight that gets a lot of sun exposure can mean the AC is running all day just to cool the room off. 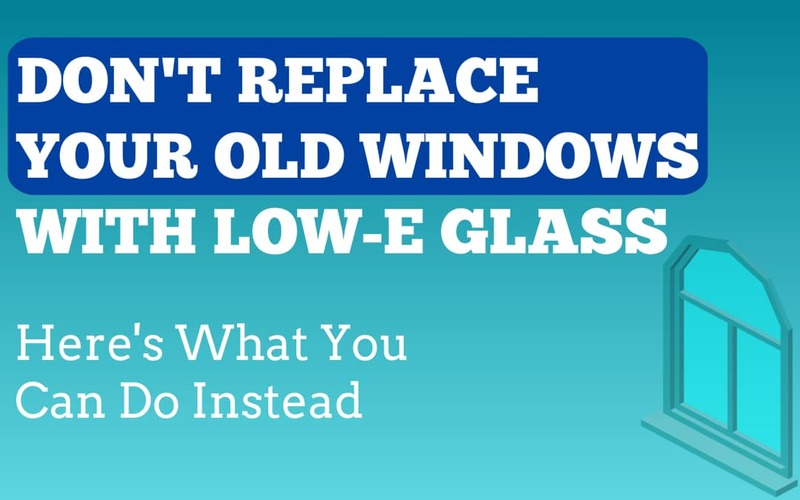 The most common recommendation to make old windows more energy efficient is to replace them entirely with new, low-e windows. Low-e windows are windows that have been treated with a film that reflects solar heat while still letting natural light pass through. With less solar heat entering the home, the AC no longer has to work as hard to keep the house cool. The less energy the AC uses, the more savings there are for the homeowner. Is replacing old windows with new ones worth the cost? There will be energy savings from replacing old windows with new, low-e glass windows but it comes with a substantial upfront cost. The National Association of Realtors estimates the cost of replacing every window in a 2,450 square foot house to be around $19,000. For a household trying to save money in energy bills, that’s a very large investment with a slow return. 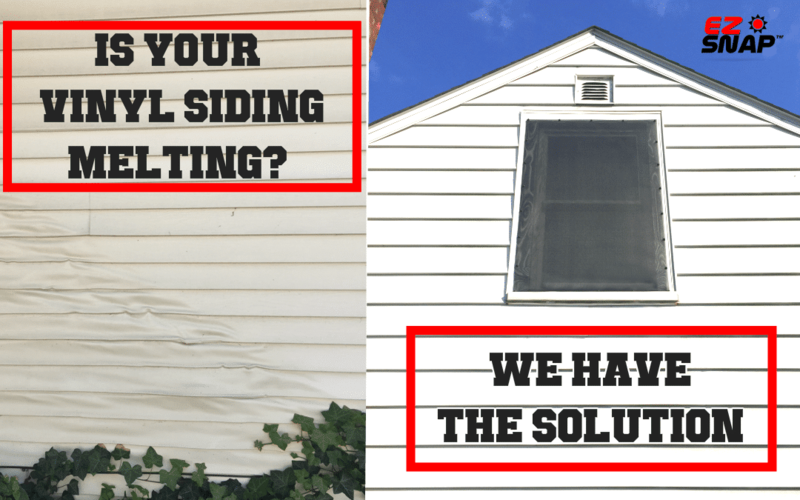 What are some more cost effective alternatives to replacing an old window? The most important thing to do with old windows is stop any exchange of air between the inside and outside of your house. For drafty windows, using a product like rope caulk to seal up any holes can make a major improvement. Plastic film insulation is another popular and effective solution for sealing up older windows. Both options are inexpensive and simple enough for anyone to apply. For windows that get a lot of sun exposure, a quick and easy way to make them more energy efficient is to mount exterior shade mesh on them (also called shade screen or solar screen/mesh/fabric). There are a lot of different kinds of shade mesh available, but they all work by the same principle. It’s a mesh fabric, and like low-e glass, it works by blocking solar heat and light, while still letting natural light through. Unlike low-e glass, which is a film that’s been applied to the glass, solar mesh is installed on the exterior of the window. Applying the shade screen to the outside of a window is key for it’s ability to keep a room cool. If it’s applied to the inside of a window it will still work but not nearly as well. 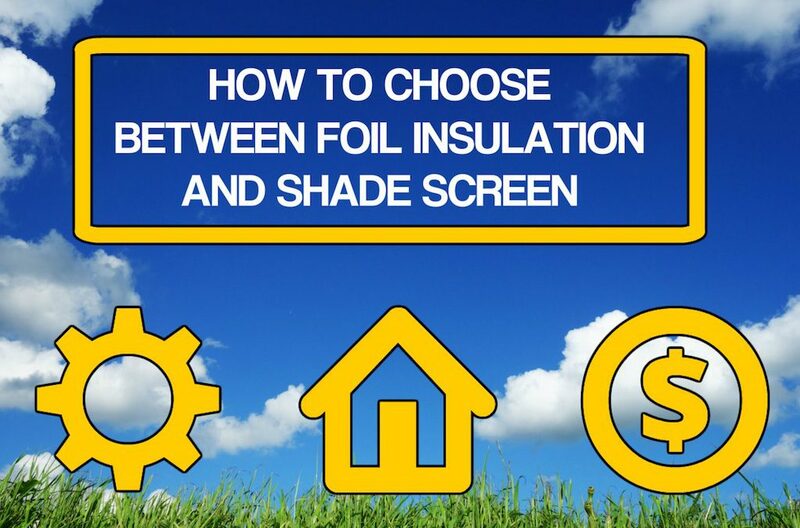 If it’s mounted on the inside the screen will still provide shade from the sun, but the energy savings will be significantly less because the heat will be trapped inside the house. 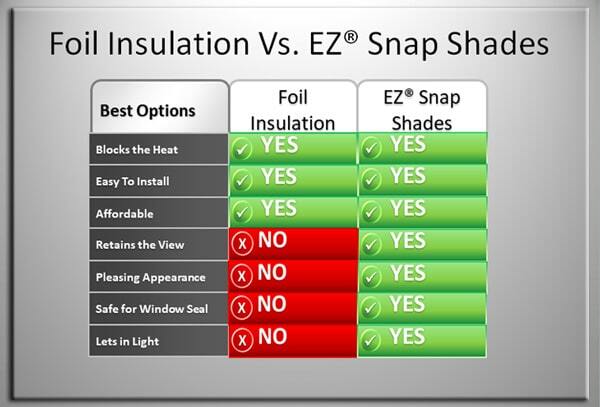 If you are considering shade screens for your home and don’t know which one to choose, the easiest and best option is EZ Snap. They sell do-it-yourself kits that let you mount and cut your mesh to your window, no matter it’s size or shape. 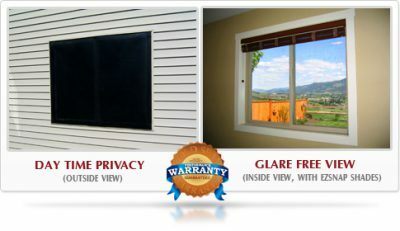 EZ Snap is also a fraction of the cost of what you would pay to buy and install new windows. You save on the price of the product, and because you are able to install it yourself, you save on labor as well. EZ Snap shade screen is also better at blocking solar heat than low-e glass. 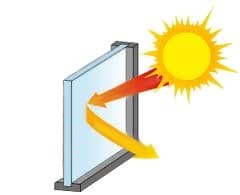 The effectiveness of heat blocking applications for windows is measured by the Solar Heat Gain Coefficient (SHGC). The SHGC is the amount of solar radiation (heat) that transmits through a window. It’s measured between 0 and 1, and the less solar heat that transmits through a window, the lower a window’s SHGC number is going to be. There are a lot of low-e glass makes and models, but the range of SHGC for most of them from varies between 0.60 – 0.25. Shade mesh from EZ Snap has a SHGC of .18. Something else to consider is that low-e windows are known to damage turf and siding. In the right conditions, the solar heat that they reflect can focus into a hot spot creating a magnifying glass effect that melts anything in its path. 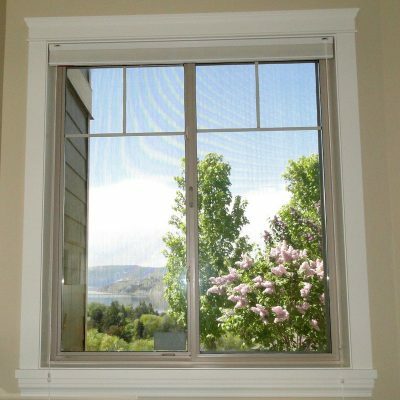 If you or your neighbor has a low-e window that is damaging property, EZ Snap is also the ideal solution. Rather than replace the entire window, installing EZ Snap window shade over the problem window provides a fast and effective fix. 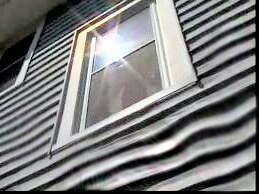 The solar heat is reflected off of the mesh before it ever reaches the window, preventing any chance of a hot spot forming. The result is 100 percent effective and can be installed in as little as an afternoon. An added benefit to an exterior shade product like EZ Snap is that it’s also removable. 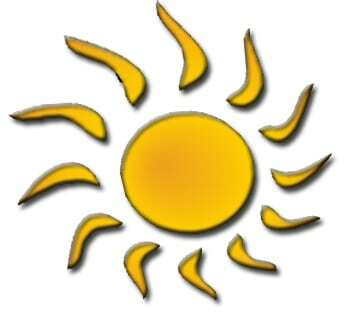 So, when the winter months come you can take it off and benefit from the natural heating you get with the sun. It’s like getting free heat in the winter. No matter which window option you choose to make your home more energy efficient, it’s important to do your research before making a final decision. You want to make sure that you are going to be getting the maximum return for your investment. Replacing your windows might be worth the cost, or it might make more sense to invest in solutions that are able to make your existing windows more energy efficient. Is your artificial turf burning or melting? It’s becoming an increasingly common problem for many homeowners. If you are finding streaks of your turf melted and discolored, the culprit is most likely a nearby window that has something called low-e glass in it. 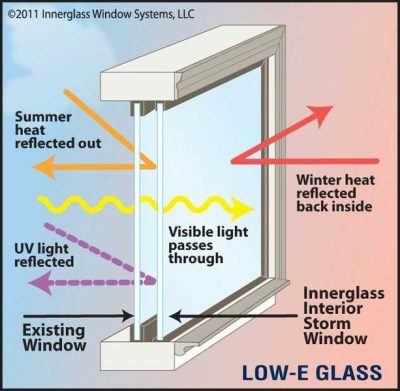 Illustration of how low-e glass windows work. Low-e glass is glass that has been treated with a type of energy efficient coating. The glass is coated with a microscopic, transparent metallic layer that reflects heat, but still allows light to pass through. 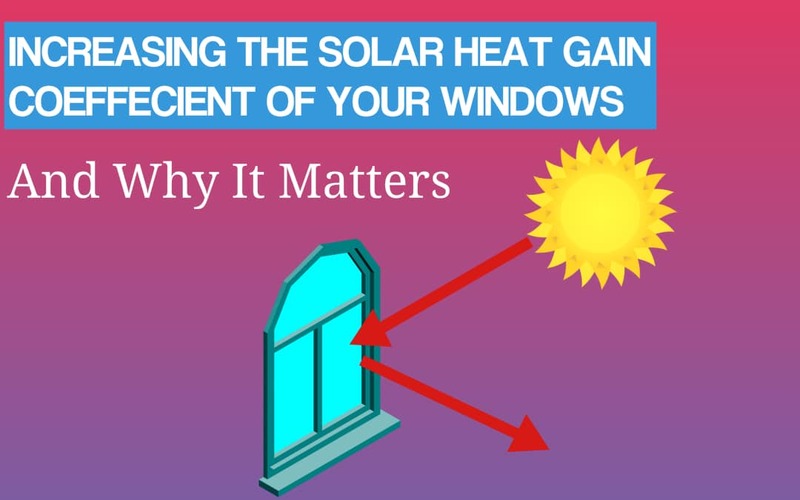 These windows are good at cutting down the amount of heat entering a house, which is why more and more homes are being built with them installed. However, they can also act like a giant magnifying glass. Low-e windows are all double paned, and when there is a difference in pressure between the outside air and the interior of the glass panes, the windows may slightly warp and bend. This can create a concave effect in the glass. This concave effect, coupled with the reflective low-e coating, can focus sunlight into a concentrated hot spot, just like you see with a magnifying glass. The temperature of these hot spots can get so high that they destroy anything they touch. 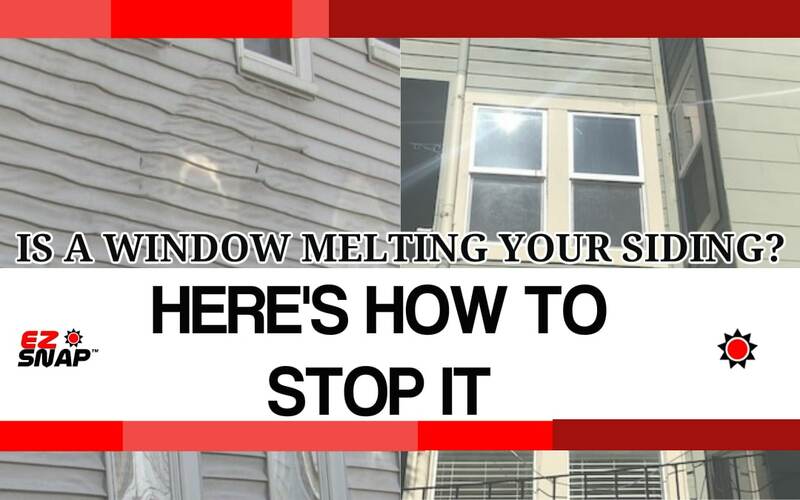 It’s increasingly common for these low-e windows to melt synthetic turf, vinyl siding and even cause natural grass to catch fire. Fake grass will begin to melt at around 175 degrees Fahrenheit. 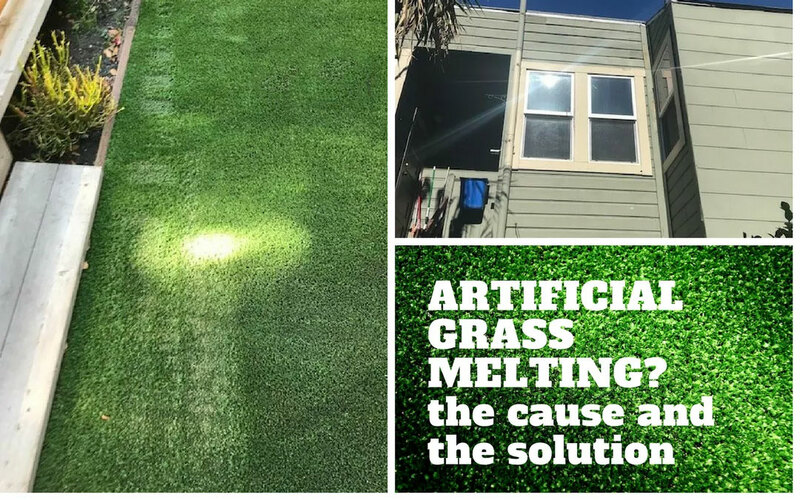 We recently had a customer write to us to say that his turf was melting due to a low-e window. He took a reading of the hot spot that was destroying his lawn and it was over 190 degrees. If a large enough patch of turf has been melted, it will need to be replaced. 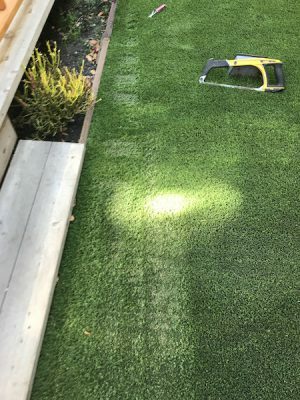 Since artificial turf can cost anywhere from 5 – 25 dollars a square foot (not including labor), replacing damaged turf is a costly and time consuming process. EZ Snap customer with a hot spot on his lawn that was over 190°F. As more and more homes are getting low-e windows installed, so are the amount of people finding their turf being damaged. 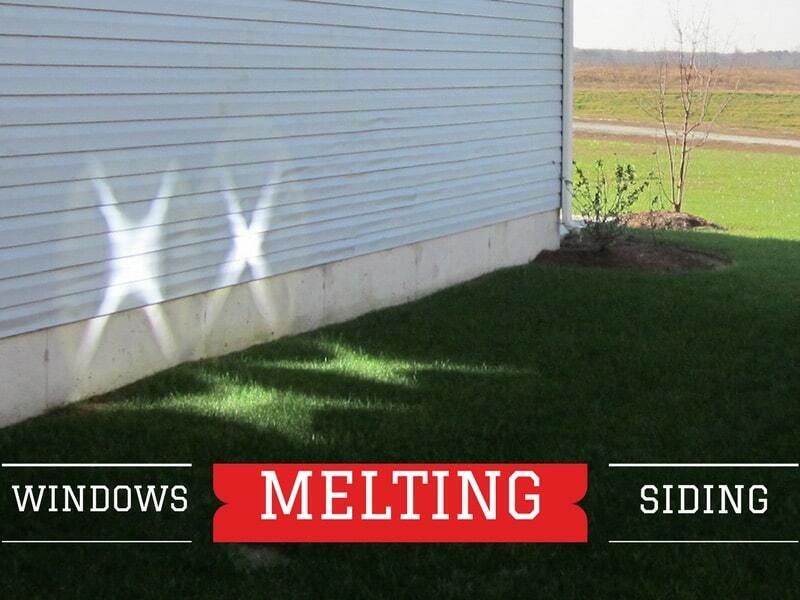 Even if you don’t have low-e windows your lawn may still get scorched. If you are seeing signs of damage to your turf and don’t have low-e windows on your house, the cause may be one of your neighbors windows. What can be done about Melting Turf? First, know that if you take the time and money to replace your lawn but don’t address the cause, it’s just going to happen again. A simple solution would be to put something up, such as a patio umbrella, to protect your turf. This would only be a temporary fix though, because anything you put in the way of the hot spot will only get destroyed. What needs to happen is for the sun’s rays to be blocked before they can hit the window and reflect back out. If the solar heat is cut down before it ever touches the glass, then there is nothing to reflect out and your lawn is safe. Fortunately, EZ Snap Shade Screens are the ideal solution. They can be installed right over the problematic low-e glass window quickly and easily, and for a lot less than it would cost to replace the entire window. View from a window with EZ Snap Shade Screen. EZ Snap Shade Screens are proven to stop up to 90% of the sun’s rays from reaching the glass. You get all of the cooling power of a low-e window, but without the risk of creating hot spots. They are easy to order and can be installed by someone with no previous experience. One of the reasons why low-e glass is so popular is that it blocks heat while still allowing light to shine through. What’s great about EZ Snap is that it uses an optical grade mesh, meaning EZ Snap blocks the heat but not the view. The screens are also guaranteed to fit all window sizes and shapes. 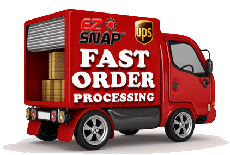 To learn more about EZ Snap and it’s benefits, click here. 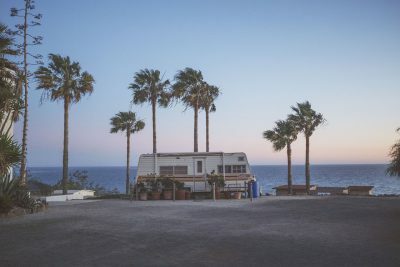 Nothing beats the summer for getting out and enjoying your RV, but keeping your rig cool in the midday heat can be a challenge for even the most experienced traveler. You might have an AC unit that is too loud, or boondocking, or maybe you don’t have AC at all. Fear not, we’ve compiled the top ten inexpensive ways to keep your RV cool without an air conditioner this summer. Be sure to park smart this summer. Where you park is the number one way to keep the heat down. 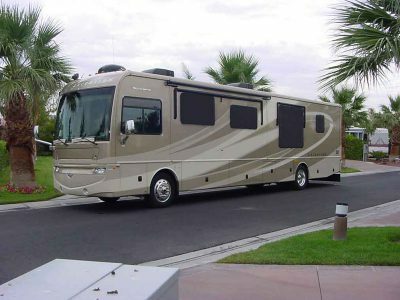 Sidling up beside a nice lush tree will help keep one side of your RV cool, plus it’s doesn’t cost a thing. 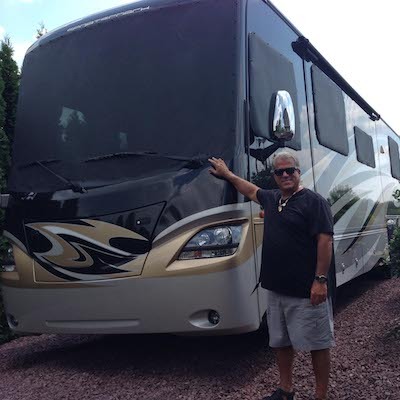 Be aware of what side your RV is facing as well. The hottest part of the day is typically around 3 pm, so you want to try and keep as few windows exposed as possible to the afternoon sun. 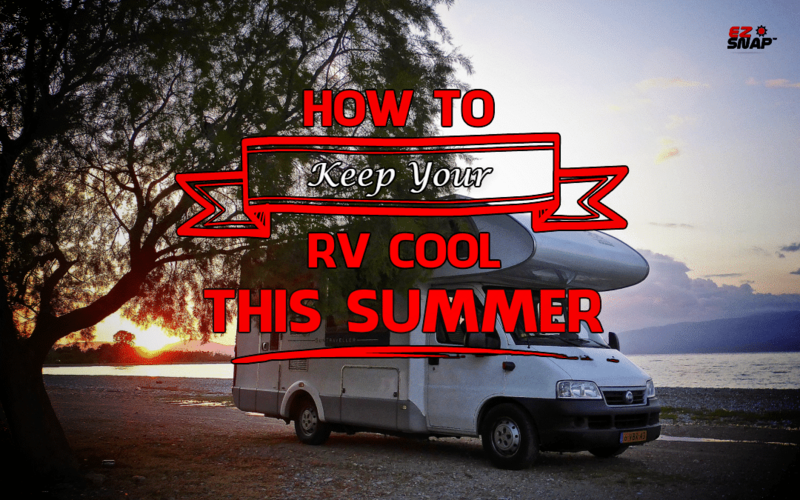 Having good airflow in your RV is a key part of keeping it cool. Something that gets overlooked a lot is the dust and grime buildup in the areas behind and around your fridge and stove. If the airflow is inefficient then you will have heat flowing back into the RV, making for unhappy campers. Before your set out on your adventure, make sure to give those places a thorough clean. keep the temperature down every little thing counts, and this is one that doesn’t take much of an effort to do. If you’re still using incandescent light bulbs, know that each one of those works like a tiny heat generator. For the power they consume, around 90% of it is expended as heat. Switch those old bulbs over to LED light bulbs, they’ll give you the same amount of light but with a fraction of the heat. 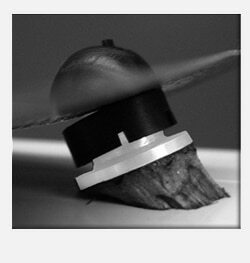 There are two ways to use your fans to cool down for those hot days and nights. During the day get those fans pointed right at you. Air that is moving feels cooler than air that is still, so you will at least get some relief with some fans blowing at you. In the evening, when the air is cooler outside of your RV than inside, point your fans facing out the windows. This way you will be blowing the hot air out and at the same time drawing the cool air in. The more windows you can have open for an effective cross-breeze, the better. majority of your meals outside of your RV. Any time you fire up your oven you are generating a lot of heat that is hard to dissipate. Plus, who wants to cook in a sweltering hot room? Cook your meals outside, either over the fire or on a camp stove. 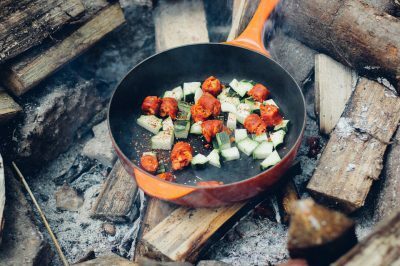 It may take a bit more work to haul your ingredients and cookware in and out of your RV, so try and make enough so you have leftovers and don’t have to cook every single meal. Usually the main heat culprit in your RV is your biggest window or windows. The sun’s rays come in through the glass and heat up the interior of your RV. Then, because the heat has nowhere to go, it just keeps getting hotter and hotter. The key is to stop the sun from even getting through the glass, and EZ Snap Shade Screens are by far the easiest and best option for attaching shade to your RV. The best part is that they block the 90% of the heat but you can still see out of them, so you get to keep your view. 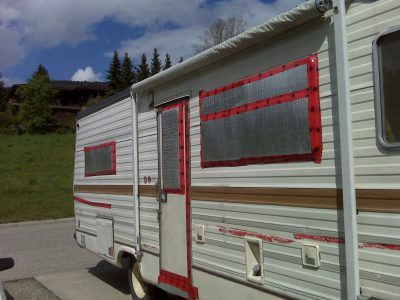 They may not be pretty but tarps are the Swiss Army Knife of any good RV’r. They’re inexpensive, they don’t take up a lot of space and they have a variety of uses. If there are any trees nearby you can try and attach your tarp across them to make some extra shade and cut down on the sun exposure to your RV. Depending on the nature of your trip you may be planning your stops well in advance. Use Google Earth to scout your prospective stops to try and cherry pick the sites that will have the most shade. You will be glad you spent the extra time planning when the midday sun is out and you are relaxing in the shade from a nearby tree. If your RV is like an oven during the day, the evening is the time to cool down not just yourselves, but your over-hot RV as well. Open up all those windows and turn those fans on. Don’t forget to open your cupboards and storage bays, as those are places where heat can build up over the course of the day and can keep your RV uncomfortably hot if not aired out. Your large windows may take all of the blame for the heat, but don’t forget about your skylight. 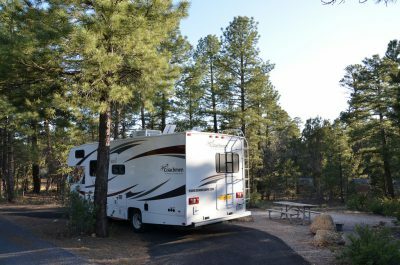 They are notorious heat generators, and they can be a big reason why your RV is unbearable hot. Covering up your skylight is one of the best ways your can bring down the temperature in your RV this summer. Here’s a list of the top four ways to cover a hot skylight for under $100. These days, the number of energy-efficient products on the market is pretty impressive. But if your strategy for lowering your utility bills and going greener starts with buying sparkly new appliances, you’re neglecting several inexpensive, basic updates that make those fun new purchases perform even better. 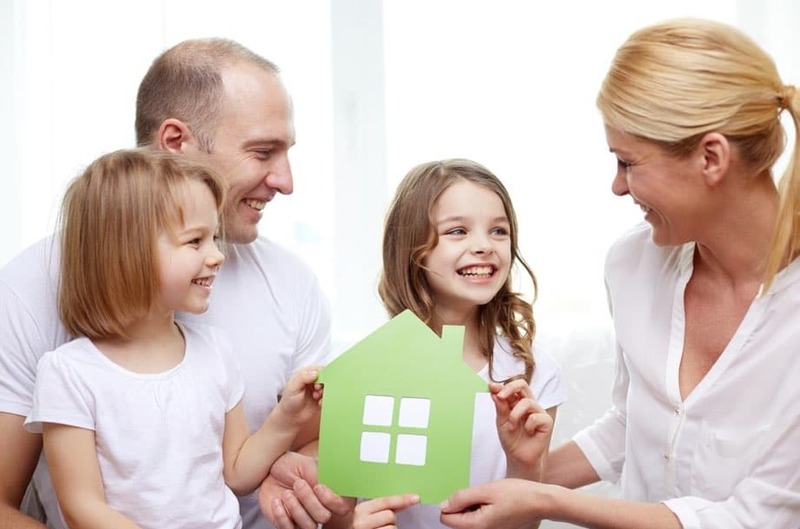 Home Improvement Leads offers a few straightforward solutions for homeowners who want to increase energy efficiency but don’t want to break the bank or undertake a major project. The number one bit of advice is far from glamorous but very effective: insulate. Nearly 50 percent of your heating can escape if your home is not properly insulated. You can keep turning up the thermostat in the winter or turning it down in the summer, but unless you block that heat transfer, your HVAC system will underperform. Thankfully, this is totally appropriate for a DIY project. 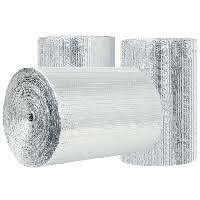 Add insulation in the attic and seal up holes in the heating ducts. Doors and windows are also huge culprits, so make sure you weatherstrip and fill up any cracks with sealant. Check along the floorboards and the space around fixtures for other gaps that need to be filled. Now that you have the basics out of the way, you can focus on more sophisticated approaches. Window coverings and shields can do a lot to keep the radiant heat out of your home while still providing ample daylight. EZ Snap Shading Mesh blocks up to 90 percent of the sun’s heat and UV rays that could cause your furnishings to fade. It also reduces the sun’s glare so that you can still get beautiful views of the outdoors—and as a bonus, the shades are easy to install! Adjusting your thermostat to only heat and cool your home when needed is an art. Some have mastered it, while others let opportunities to save energy slip by. 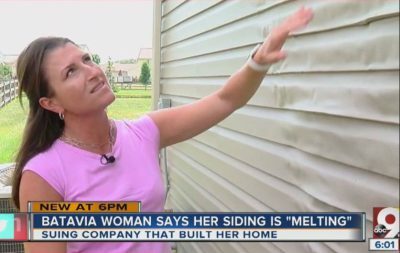 It’s understandable—it’s inconvenient to come home to a house that’s too hot or cold. But instead of putting the burden on yourself and your family to save energy every day by adjusting the thermostat, install a programmable one. You can program it to switch to a more energy-saving temperature while you’re away, and to get comfortable again half an hour before you come home. Or go one step further and install a smart thermostat that will learn your routine, keep tabs on your energy use, and make your home more comfortable by precisely meeting your heating and cooling needs. 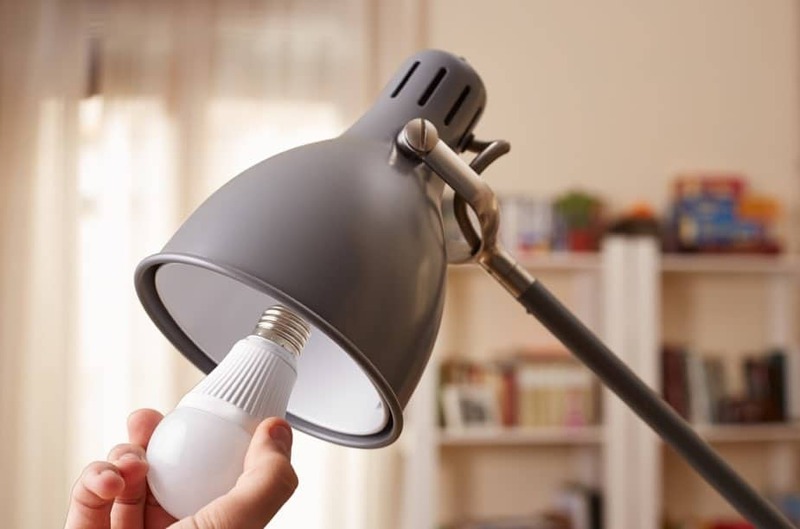 Traditional incandescent lights are pretty inefficient, but thankfully, recent technologies have provided us with better options like LEDs and CFLs. LEDs are the most expensive, but they also last the longest and use the least amount of energy. Because they last so long, it’s not a bad idea to replace some hard-to-reach light fixtures with LEDs so you’re changing inconveniently-located bulbs only once every few years. 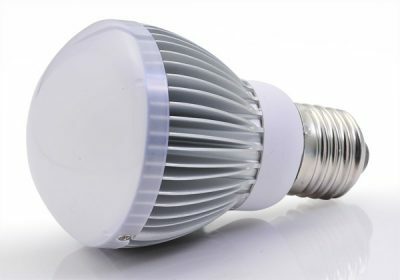 If you’re worried about the bright light of LEDs, rest assured that they’re now available in warmer colors comparable to traditional incandescents. If you like green—both on the earth and in your pocket—these simple changes will be perfect for your home and lifestyle. Blinds and Shades for Arched and curved windows are a real challenge to cover. That is until now. 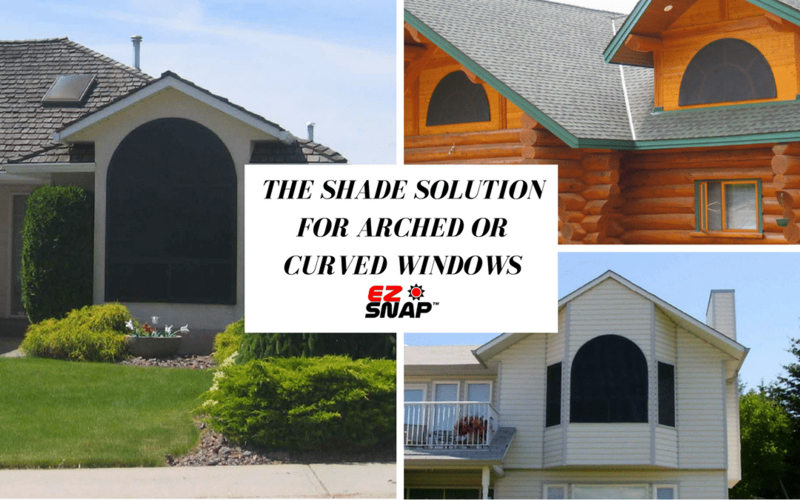 EZ Snap Innovations has developed the perfect solution to providing shade to any shape of window, curved, arched or even round. The specialized EZ Snap shading mesh is able to stop up to 90% of the sun’s heat and damaging UV rays, but it does not block your view. The EZ Snap mesh is made using an optical grade, exterior shading material. This allows you to see clearly through the mesh as if it was not even there. The EZ Snap exterior shades are made from an innovative shading mesh the can be cut to any size or shape without fraying. The EZ Snap mesh utilizes encapsulated yarns in its manufacturing procedure, producing an extremely strong , dimensionally stable shading mesh. These special properties are what allow you to cut to size your exterior blinds right on site for a perfect fit every time. 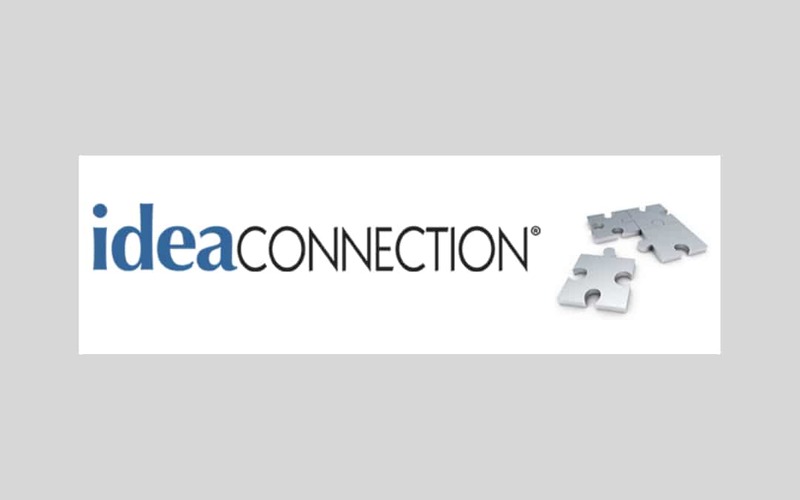 Ideaconnection.com profiles new and exciting breakthrough technologies and products. The innovative EZ Snap fastener system has revolutionized the exterior shading of windows, providing an easy way for home owners to make their own quality shades for much less than competitive products. 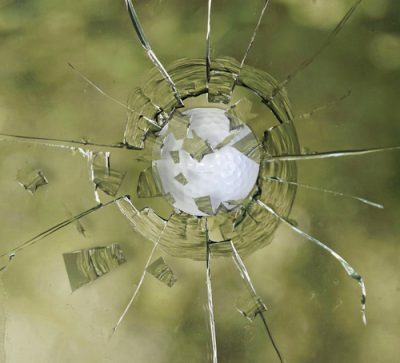 If you have ever lived next to a golf course, you or someone you know has a story of broken windows caused by golf balls. One of the perils of living next to a golf course is having a stray ball smash a window on your home. This is frustrating, expensive and sometimes frightening. 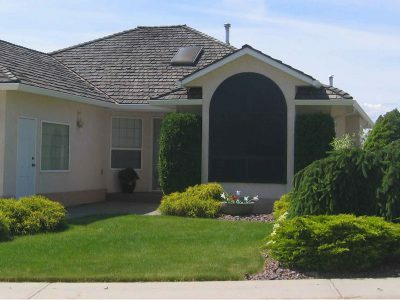 One method of reducing the likelihood of having windows damaged by golf ball strikes is to install an exterior shading screen over the window. The screen acts as a barrier in front of the glass, slowing down and reducing the speed of the ball. In most cases this prevents the glass from being hit or breaking. If your really close to the T-box, you can have your contractor build you an additional frame around the window to increase the distance the screen is mounted from the glass, thereby increasing amount of force your screen can stop before the ball impacts the glass. The beauty of this solution, is that you get so much more than glass protection from your screen. These screens also block up to 90% of the sun’s heat without blocking your view outside. In addition, they provide day time privacy from golfers and nosy neighbours. With so many benefits in one product, they pay for themselves in no time. Protect window glass from golf ball strikes ( Especially when you our your contractor build a stand-off frame around the window). Energy saving shades that block the heat without blocking the view. SHGC stands for Solar Heat Gain Coefficient. This number is commonly used as a guide line for rating the energy efficiency of windows and their various shading treatments. The old term for term for this measurement was shading coefficient. SHGC values range from 0 to 1. The lower the SHGC number, the less solar gain or heat passing through the window. Many power utilities offer rebates to customers who upgrade their windows. They typically will give you a rebate based on the total SHGC number of your upgraded product. Most of these rebate programs will give you a rebate if your upgraded windows have a SHGC # of .4 or less. 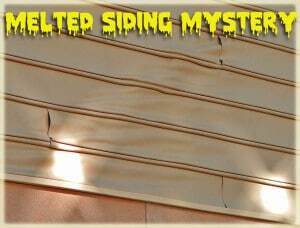 Many times you can still qualify for a rebate if you add an exterior shading product that has a SHGC # of .4 or less. Be sure to check with your local power utility to find out the details of their specific rebate program. The EZ Snap shading mesh has a SHGC of .1827. This SHGC number is based on a solar profile angle of 45 degrees (most common) and a clear, double pane window. • Exterior blinds and shades are up to 7 times more effective at stopping heat from entering the home than interior blinds or window tinting. • 16% of the U.S. electricity is used for air conditioning. 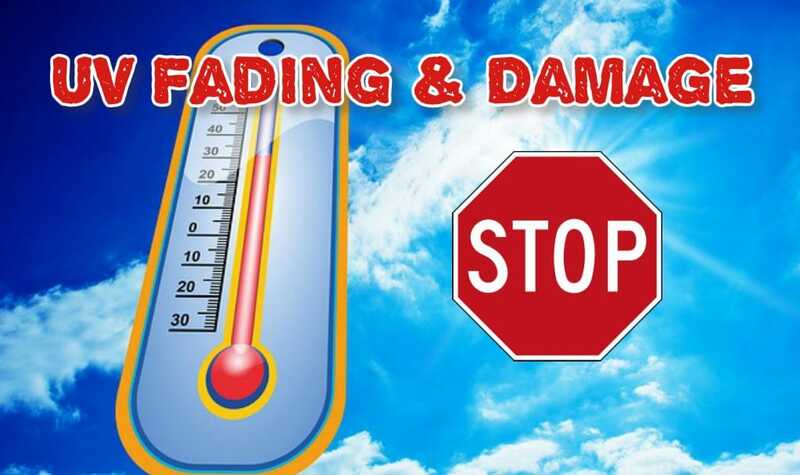 • 43% of the U.S. peak energy load in summer months is for air conditioning. 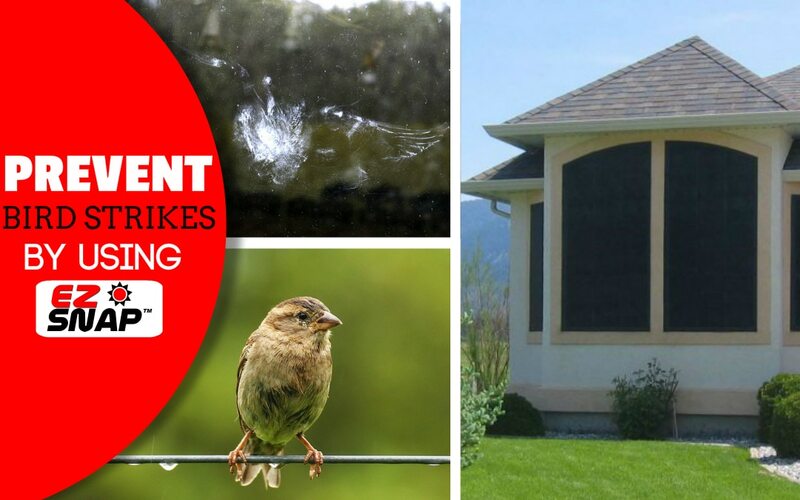 It’s estimated that every home in America kills about 2 birds every year due to window collisions. Currently, up to one billion birds die from hitting windows in just the US alone. It’s a massive problem across the country. If you’ve ever experienced a bird window collision you know it’s heartbreaking, and such widespread bird loss impacts our environment. Birds are one of the most important players in our ecosystem. They help keep the pest population under control, they act as nature’s clean-up crew, they disperse seeds and much more. Reducing the amount of birds hitting windows would not only mean protecting birds from harm, but also conserving our environment. 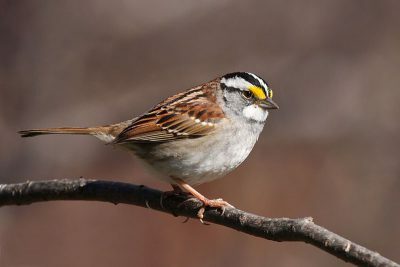 The White-throated Sparrow is one of the most commonly reported victims of window collisions. Photo by Cephas. The reason birds fly into windows is because they don’t recognize glass as a solid surface. Birds will hit windows at full speed either because they can’t see the glass, or they believe the reflections they see in them are real and will fly towards them. Unfortunately, most of the time window strikes happen without anyone realizing it. Either no one is in the room, or it’s too quiet of a sound for anyone to realize what happened. If the bird isn’t killed outright from the collision, they typically suffer broken wings or legs, making them easy prey for predators or scavengers. For the person with a window that has had bird strikes, there are a lot of bird crash prevention products available. One of the most popular is reflective tape. It’s designed to be a visual and auditory deterrent, with light reflecting off of it and the tape making a noise by twisting in the wind. However, anything designed to scare birds usually is only effective for a limited amount of time. Birds become accustomed to these deterrents once they realize that they are not a threat. The other most common types of bird deterrents are decals and tapes. There are a lot of varieties of these on the market, but they all work in the same basic way. They stick onto windows and as long as they are spaced correctly, birds will be no longer perceive the glass as a clear passage. These options are usually inexpensive and can be applied fairly quickly. However, window decals and bird silhouettes only reduce the chance of a collision, and all will obstruct your view. There is another easy and inexpensive solution, and this one won’t block your view. View looking through EZ Snap Shade Screen. EZ Snap Window Shades are ideal for preventing bird window strikes. EZ Snap Window Shades are a sun blocking screen that once installed, eliminate the reflectively of the glass completely. Birds perceive the EZ Snap Shade as a solid object and won’t fly into it. Also, because EZ Snap uses an optical grade mesh, you will still be able to see out of it and keep your view. The kits are easy to install and can be hung in as little time as an afternoon. We recently had a customer write to us to say that he was having a problem with bird strikes at his house and decided to try EZ Snap. He said, “I wondered if installing the EZ Snap Screens on those windows might help prevent bird strikes on the glass. I can say now that it was an easy solution to a heart wrenching problem. We have not had any bird fatalities since I installed the screening this spring. The screens still allow plenty of daylight into the building and, of course, it allows unobstructed views to the outdoors. Easy to install and it performs as advertised.” Follow this link to read the full review from L. Stephenson. 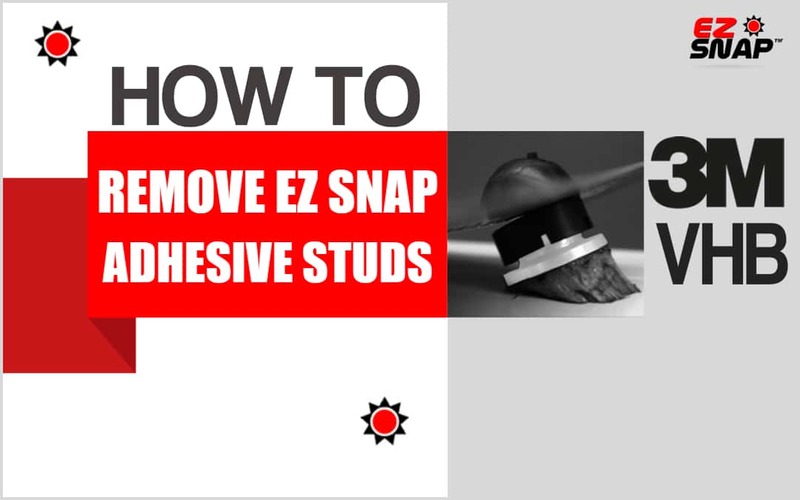 Learn more about EZ Snap products here. Watch the bird carefully before getting close. It may be able to recover quickly and fly off right away.If the bird is conscious and sitting in a safe area, it may not need to be moved while it recovers. If the bird is unconscious, gently pick it up and examine it for injuries. If the bird is severely hurt, it will need immediate attention from a bird rescue organization. If the bird is just stunned, gently place it in a cardboard box with sufficient air holes. Once the bird is safe in the box, take it to somewhere warm and quiet. Check on the bird regularly, but never open the box when you do. If the bird has recovered you don’t want it flying out indoors where it might get hurt again. If it sounds like the bird is active, take the box outside and open it there. Step away and see if the bird flies away. If it doesn’t, close the box and bring it back inside. If it’s been two hours and the bird still has not recovered, take it to the closest wild animal rehabilitation centre where it can get the proper care that it needs.